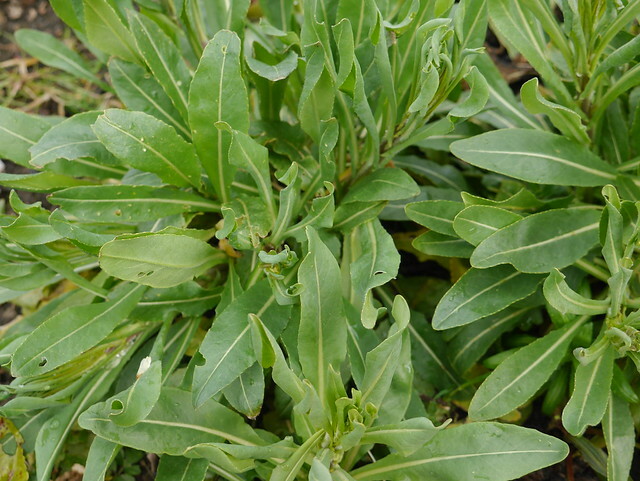 First two pictures is woad plant leaves, before it started flowering, they were very close to the ground; now, within just a few weeks, they’re up to my waist and about to flower. 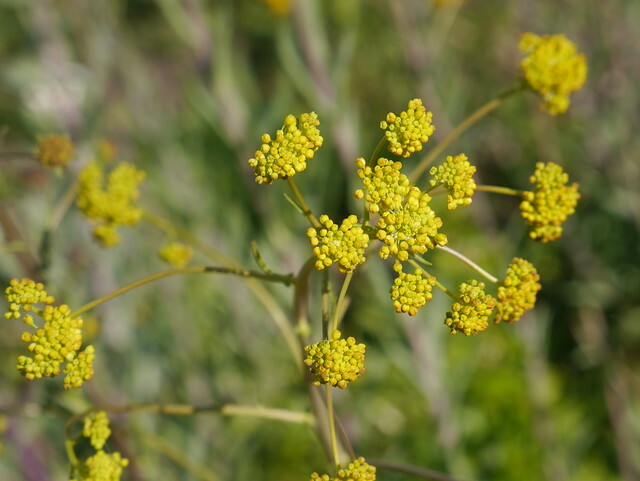 Woad has been cultivated in Europe since ancient times to use as a blue dye, until indigo became readily available. Both plants have the same blue matter, but in indigo the concentration is bigger, however it’s very difficult to grow indigo plants in colder climates. 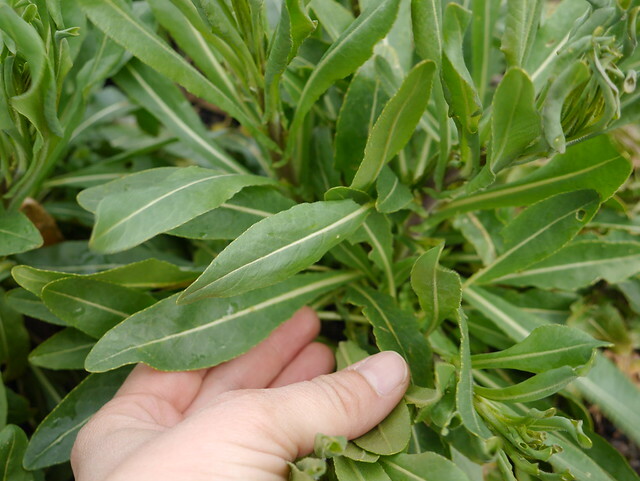 So, last year I planted about seven woad plant’s in the allotment. It’s a biennial plant, one should use the leaves for dyeing in the first year, since the blue chemical concentration is greater, and let the plant flower in the second year to save the seeds. I’m planning to save a few seeds and let a few on the plants to see if it’ll self-seed here in Scotland. 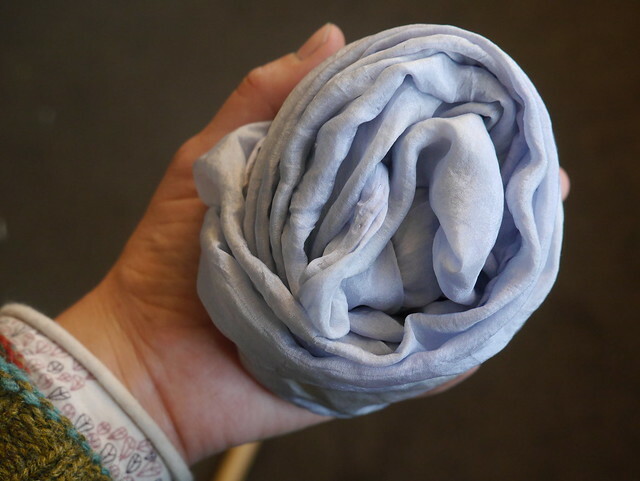 The process for dyeing with fresh woad leaves is very similar to indigo, I used the method describe in the book”Wild Color”. 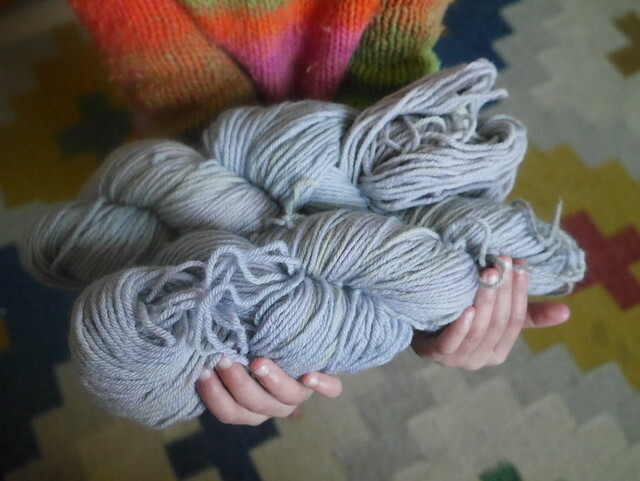 I dyed two skeins of Bluefaced Leicester, some linen and silk, but I didn’t wait long enough, I was too anxious to see the results, that in the end I was a little disappointed because I didn’t get the dark blue I was looking for. It still was a great experience, specially because the children were involved, they called it magic to see the wool oxidase and turn blue before our eyes! 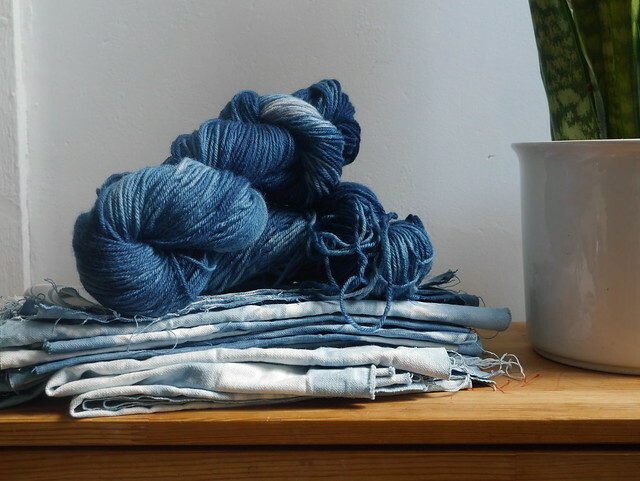 But, as they say, it’s all about the process, so last week I ordered some indigo because I wanted to explore some ideas for the shop, and finally on Monday I got to play… and I dyed the skeins of wool, this time with indigo and I love the results! 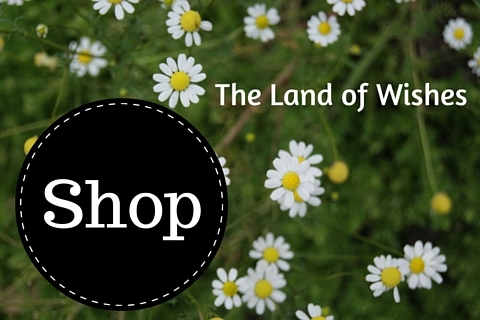 And new products should be coming soon, too! I haven’t knit much in the last few months, and what I have knit, I haven’t enjoyed that much: two baby hats that are too big, a scarf that needs more concentration that I can give, a rug that I have to start again… and there is probably more! But this little vest is different! I really, really like it! 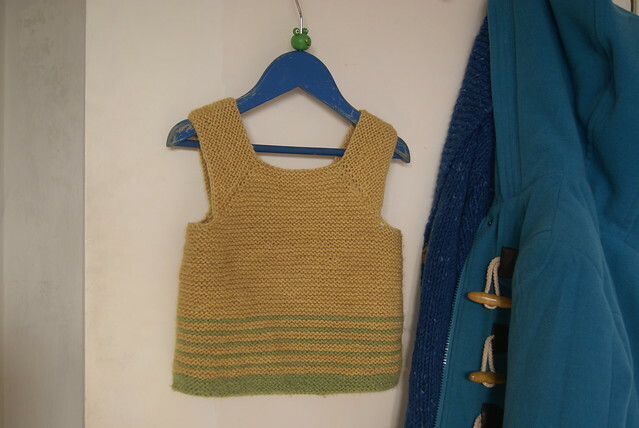 It was knitted in about three days (the dishes weren’t washed when they should, and probably other things weren’t accomplished either, but sometimes that IS necessary…). It feels really good to knit and finish something that I’m happy with! The yellow yarn was dyed months ago with Eucalyptus from an allotment neighbor and the green yarn is a left over from another project. If you want more details, here’s the project page.